Even though I can’t take any credit for this recipe, I just had to share it because it makes the best kimchi that I have ever tasted. I owe a huge thank you to the magnificent Brent Wilrose Poliquin for stumbling upon this site and sharing the recipe with me. The magic of this recipe is in the pear and apple puree used to both sweeten and add acidity to the kimchi. It also manages to add the perfect amount of moisture to the mix while imparting a subtle but distinct fruity flavor. The recipe calls for just 24 hours of room temperature fermentation, which I initially thought would not be enough time. However, after letting it ferment for a full 5 days and tasting it each day, I realized that I actually prefer the fresh taste of the 24 hour batch the best. This is also a good opportunity to for me to give a shout out to Asiana Food Market, the best Asian market that I’ve found in the Rhode Island and SouthCoast Massachusetts area. It’s located at 92 Warren Ave in East Providence, RI. This is where I buy Korean chili flakes (used in this recipe), as well as all of the other Asian staples in my kitchen. For such a small little shop, they have an amazing variety coupled with great prices! I suspect it's in the first link but when I click on it it just takes me to the blogger homepage. Can you maybe re-link the recipe or just post it? 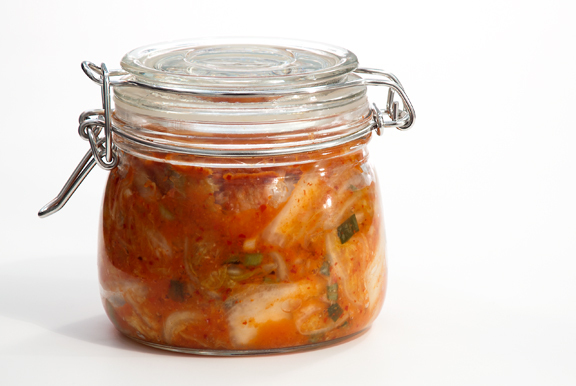 I'd love to make this lovely-looking Kimchi. Oops! I just fixed the link. I didn't include the recipe in the post because the site that I linked to has really nice step by step photos.